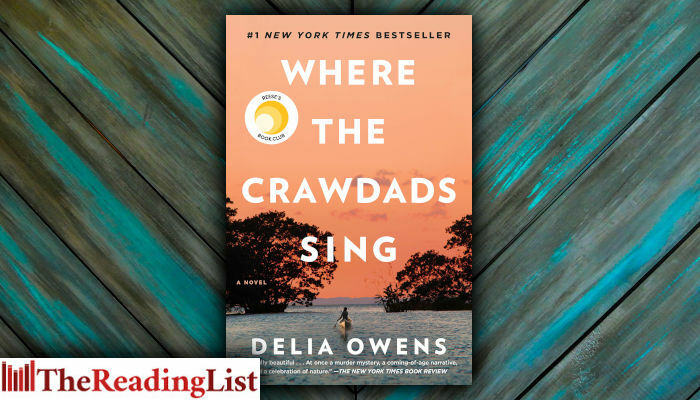 Read an excerpt from the novel everyone is talking about – Where the Crawdads Sing by Delia Owens, out now from Jonathan Ball Publishers. For years, rumours of the ‘Marsh Girl’ have haunted Barkley Cove, a quiet town on the North Carolina coast. So in late 1969, when handsome Chase Andrews is found dead, the locals immediately suspect Kya Clark, the so-called Marsh Girl. But Kya is not what they say. Sensitive and intelligent, she has survived for years alone in the marsh that she calls home, finding friends in the gulls and lessons in the sand. Then the time comes when she yearns to be touched and loved. When two young men from town become intrigued by her wild beauty, Kya opens herself to a new life – until the unthinkable happens. The morning burned so August-hot, the marsh’s moist breath hung the oaks and pines with fog. The palmetto patches stood unusually quiet except for the low, slow flap of the heron’s wings lifting from the lagoon. And then, Kya, only six at the time, heard the screen door slap. Standing on the stool, she stopped scrubbing grits from the pot and lowered it into the basin of worn-out suds. No sounds now but her own breathing. Who had left the shack? Not Ma. She never let the door slam. But when Kya ran to the porch, she saw her mother in a long brown skirt, kick pleats nipping at her ankles, as she walked down the sandy lane in high heels. The stubby-nosed shoes were fake alligator skin. Her only going-out pair. Kya wanted to holler out but knew not to rouse Pa, so opened the door and stood on the brick-‘n’-board steps. From there she saw the blue train case Ma carried. Usually, with the confidence of a pup, Kya knew her mother would return with meat wrapped in greasy brown paper or with a chicken, head dangling down. But she never wore the gator heels, never took a case. Kya was the youngest of five, the others much older, though later she couldn’t recall their ages. They lived with Ma and Pa, squeezed together like penned rabbits, in the rough-cut shack, its screened porch staring big-eyed from under the oaks. ‘Ma’ll be back,’ he said. ‘Yeah, but that vixen got ‘er leg all tore up. She’d’ve starved to death if she’d tried to feed herself ‘n’ her kits. She was better off to leave ’em, heal herself up, then whelp more when she could raise ’em good. Ma ain’t starvin’, she’ll be back.’ Jodie wasn’t nearly as sure as he sounded, but said it for Kya. Claiming territory hadn’t changed much since the 1500s. The scattered marsh holdings weren’t legally described, just staked out natural-a creek boundary here, a dead oak there-by renegades. A man doesn’t set up a palmetto lean-to in a bog unless he’s on the run from somebody or at the end of his own road. Those looking for serious land moved on, and this infamous marsh became a net, scooping up a mishmash of mutinous sailors, castaways, debtors, and fugitives dodging wars, taxes, or laws that they didn’t take to. The ones malaria didn’t kill or the swamp didn’t swallow bred into a woodsmen tribe of several races and multiple cultures, each of whom could fell a small forest with a hatchet and pack a buck for miles. Like river rats, each had his own territory, yet had to fit into the fringe or simply disappear some day in the swamp. Two hundred years later, they were joined by runaway slaves, who escaped into the marsh and were called maroons, and freed slaves, penniless and beleaguered, who dispersed into the water-land because of scant options. Maybe it was mean country, but not an inch was lean. Layers of life-squiggly sand crabs, mud-waddling crayfish, waterfowl, fish, shrimp, oysters, fatted deer, and plump geese-were piled on the land or in the water. A man who didn’t mind scrabbling for supper would never starve.